Remove the front side door. Refer to Front Side Door Replacement. 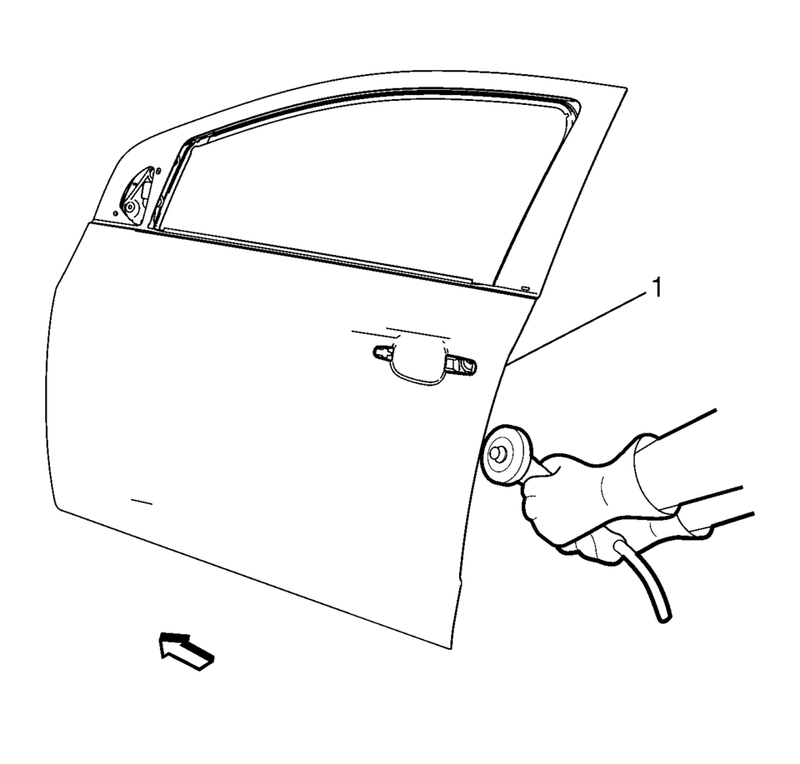 Remove the front side door outside handle. Refer to Front Side Door Outside Handle Replacement. Grind the edges of the front side door outer panel?€‰(1) to separate the outer door panel from the door shell. Remove the front side door outer door panel?€‰(1). Align the front side door outer panel. 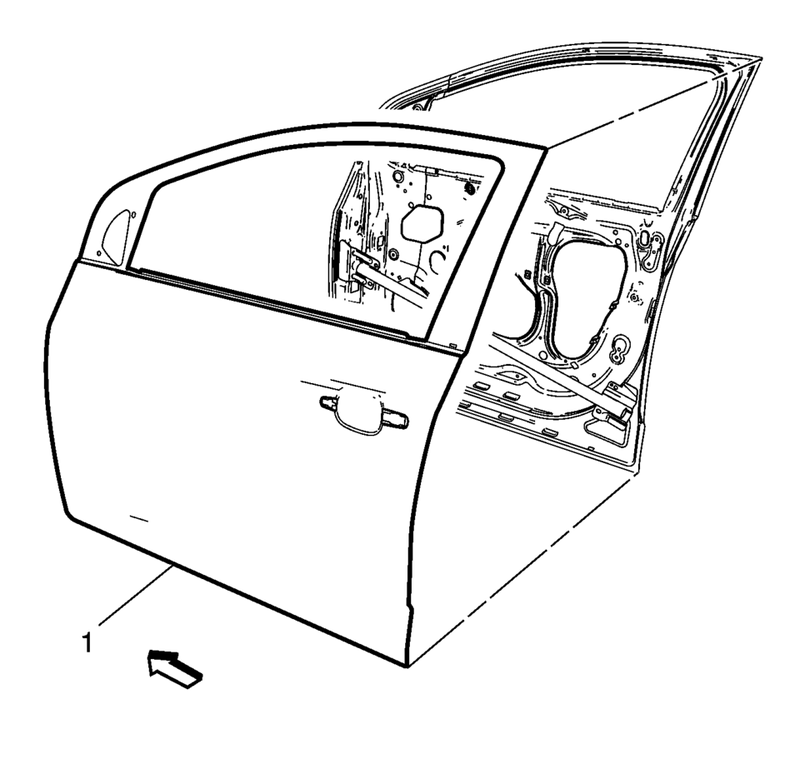 Verify the fit of the front side door outer panel. 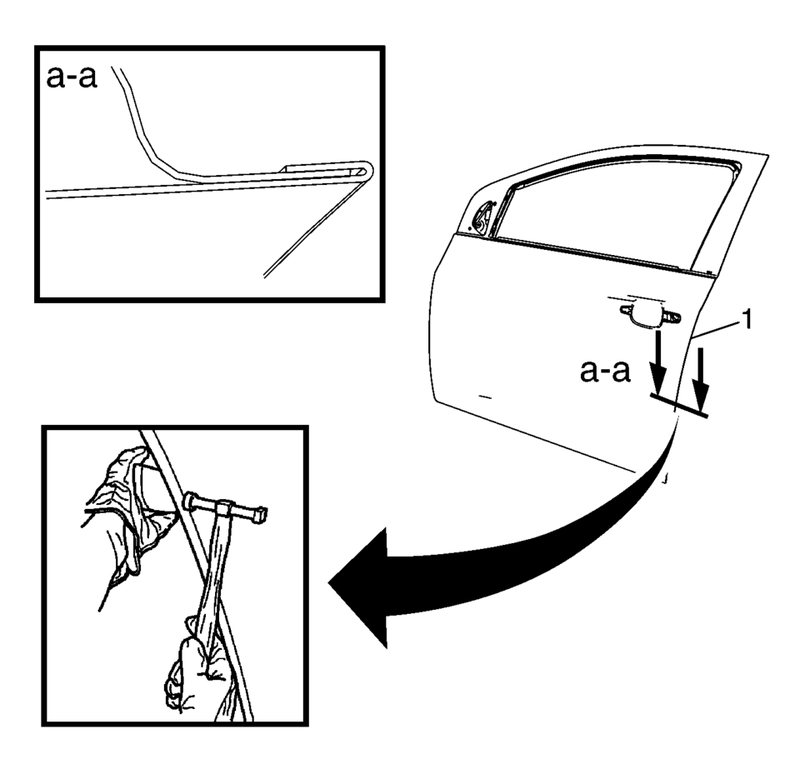 Clamp the front side door outer panel?€‰(1) into position. Continue to hammer in stages along the hem flanges?€‰(1). Install the outside rearview mirror. Refer to Outside Rearview Mirror Replacement. Install the front side door outside handle. Refer to Front Side Door Outside Handle Replacement. Install the front side door. Refer to Front Side Door Replacement.